We are blessed to have met so many wonderful people, and even more blessed that they had these kind things to say about us, and what we do. We are truly passionate about photography and storytelling - it is so nice when others see and feel that too! "Justin and his crew were so professional from start to finish. They were very good at being organized from the beginning, so that on the day we did nothing but follow their lead. It was one less thing for me to think of on the day, and I am so grateful that we chose them. Our families and our wedding party both commented on how professional they were and how easy and efficient the whole process was. We were at cocktail hour in no time, and they captured our day beautifully. Can't recommend them enough, and they are SO nice :)"
"Justin is absolutely amazing!!!! I can't thank you enough! First, of all I hate taking pictures LOL so I knew it was going to be a struggle for me. Justin put me at complete ease and I felt so comfortable. I also hate cheesy wedding photos and Justin was amazing at avoiding this hahahah. Also you know a photographer is good when you don't even realize he's there! Seriously could not have asked for a better wedding photographer. We are OVER THE MOON happy with the photos. Justin was so easy to work with and lovely. THANK YOU FOR EVERYTHING!!!" "I am still amazed at all the beautiful pictures taken by Justin and his team. 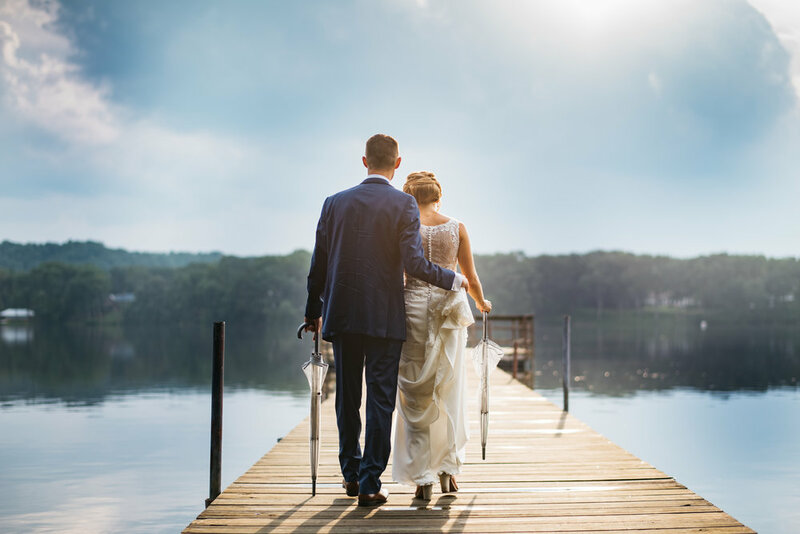 They captured our day so perfectly and we could not imagine anything better. Everyone was so professional and made us feel so comfortable. They were also FANTASTIC with my nieces and nephews age ranges 7-2. I cannot say enough good things about Justin. I would highly recommend, hands down the best." "It was an absolute pleasure to work with Justin and his team. They were all complete professionals. Justin was great at making sure that we got all of the requested pictures. He has a creative approach to his shots that make even a generic shot extraordinary. We are so happy with the quality and quantity of pictures we received from our engagement shoot and wedding day pictures." "Top notch through and through. Justin has an amazing eye, really easy to work with, and fun besides! Our photos for our engagement session and our wedding were amazing, and something we'll treasure forever. I recommend him 100 times over!" 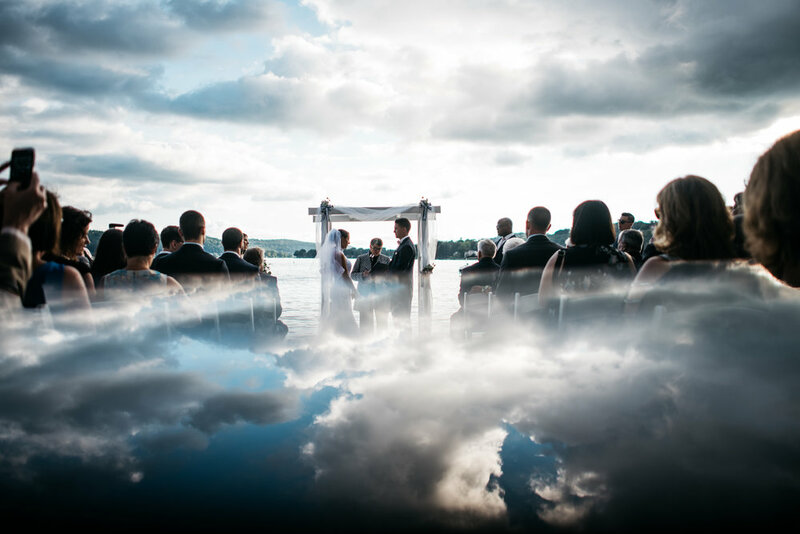 "My husband and I could not have been happier to have Justin as our wedding photographer. After a successful engagement shoot, I knew his energy/style would vibe so well with Nick and I for our wedding day. Justin is a wedding pro, and his calming energy was lovely to have during what can be a crazy day. He and Jason, his associate photographer, have so much passion for what they do. They made Nick and I and our family/friends feel so comfortable in front of the camera, and kept our energy up! I knew I wanted Justin as our photographer because of the way he captures pure emotions - joy, love, excitement - and all of that shone through in our wedding day photography. I'm so excited to have all of the pictures to relive the best day ever for the rest of our lives!! Thank you!" From the minute my husband and I met with Justin, we were impressed with everything! His portfolio, professionalism, and his team were amazing. Our lead photographer was Jason Langley, who made our wedding day perfect. He was absolutely amazing and went above and beyond to make sure he captured every moment of our day! It was raining and he was out there in the rain getting any shot we wanted. Our pictures were beautiful and the turn around time was less than a month. I would recommend Justin and Jason to everyone and anyone! My husband and I couldn't be more happy that we chose Justin and his team to be our wedding photographers! They were so easy to work with throughout the whole process and we absolutely loved all of our photos. Our package included an engagement shoot, which let us get to know Justin and feel even more comfortable with him by the time our our wedding day came. Justin had great ideas when it came each shot and was so flexible when there were specific photos we wanted to take with family and friends. We would definitely recommend Justin and his team to anyone looking for a photographer for any occasion! Thanks again Justin! I can’t express how amazing Justin and his team were through every step of our wedding process! From the moment I spoke to him I knew he was the photographer I wanted. He kept in touch every few months as the day got closer and he made sure I got every picture and detail I wanted on camera. The day of, Justin & his team were so professional ( but super fun! ) and captured the most phenomenal photos of my husband and I & our beautiful day ! I couldn’t have been any more pleased and I’m so grateful I was able to work with Justin!